Slow Assembly? Use Assembly Visualization To Find What Parts are Slowing You Down! Are slow parts causing your assembly to crawl? 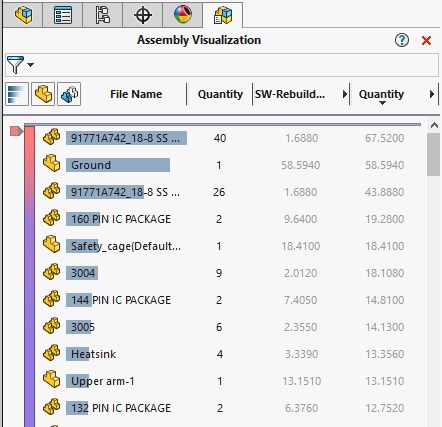 Locate and identify them using the Assembly Visualization tool. Let's walk through the steps. You can find this tool on the Evaluation tab of your Command Manager. This opens a new tab in your FeatureManager tree that works similar to a bill of materials (BOM), which you can use to sort the assembly using a variety of properties. 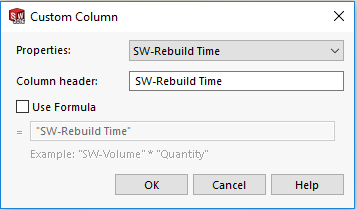 By default, it comes up with a column for Mass, so we will change that column to look at rebuild time instead. This will bring up a menu of choices for that column. The property we want is not on the list so select "More…" for additional options. 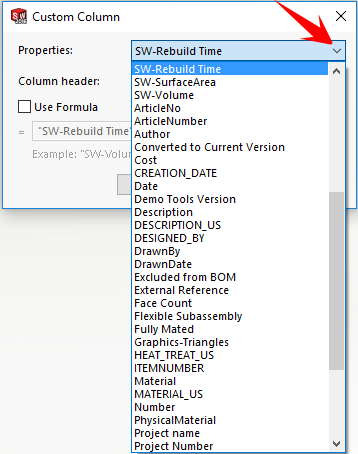 Select the dropdown arrow and find "SW-Rebuild Time" on the list of available properties. 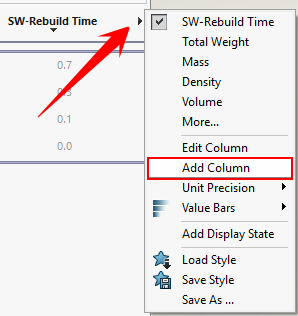 You should now have a column showing the rebuild time for each part in the assembly. That column can be sorted to show the slowest parts at the top. To really see the effects of the total number of duplicated parts, you can use equations to take the quantity into account. Add another column by clicking the arrow to the right again to get the menu and choose "Add Column." 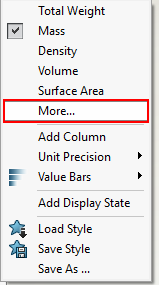 Repeat the steps, but this time select "Use Formula" beneath the "More..." option. 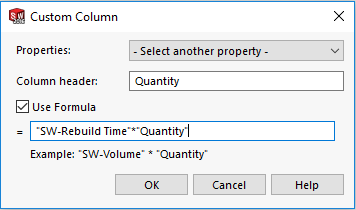 When filling in the formula, you do not have to type in the property names. Simply select them from the dropdown list. Use an asterisk to multiply. Now you can sort the new column as before to see which files float to the top. Check out more tips to make your assembly perform faster in the video below.